It's small enough to fit in your pocket, measuring just under 2 inches square. The thermometer is reliable and accurate. While the LED on the device itself has green, yellow and red status lights indicating temperature, these are too vague to be useful. 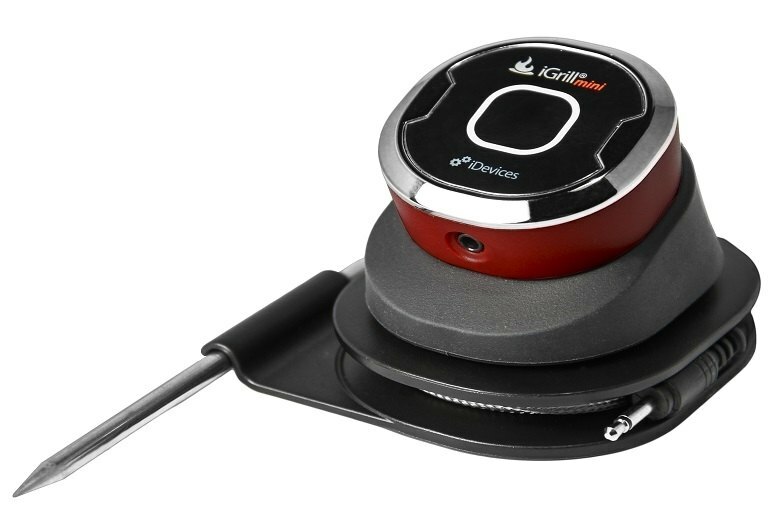 The iGrill mini only includes one probe. There can be connectivity issues, such as the Bluetooth dropping out before the maximum 150 feet. 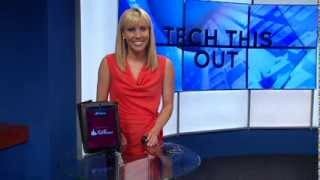 The iGrill mini takes “the guesswork out of grilling,” according to the iDevices company. The Bluetooth-enabled smart thermometer measures the internal temperature of your food. 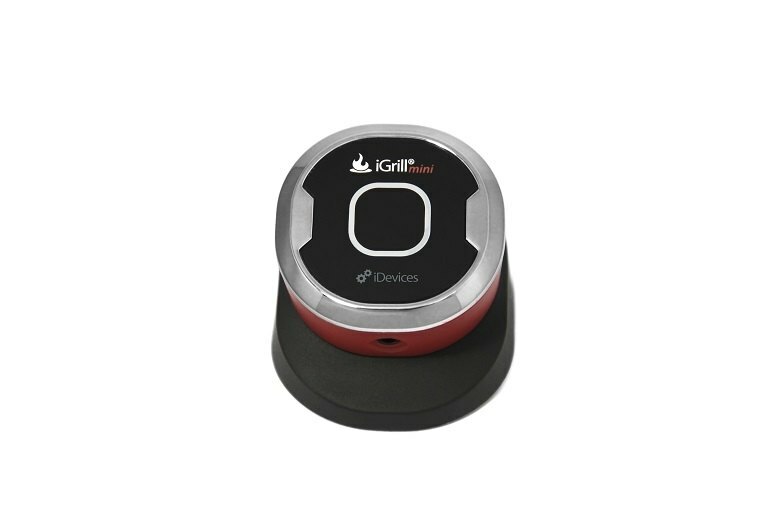 When it’s done, the iGrill mini sends a notification to your iOS or Android device through the iDevices app, so you no longer have to hang around the grill monitoring your food. 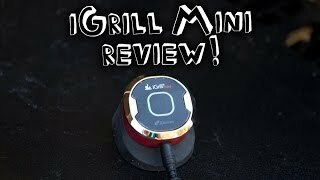 The iGrill mini is ultra-compact, measuring just under 2 inches square. 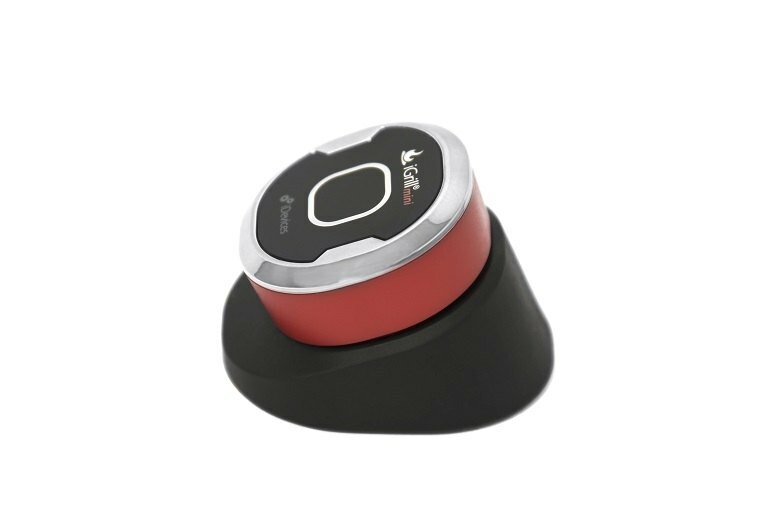 It includes one temperature probe and has a range of 150 feet. It runs on a coin-cell CR2032 battery, which is included. Battery life is 150 hours. Once you've grilled with this inexpensive temperature probe, you won't want to barbecue without it. Through a free app ... you are able to track the temperature of the food wirelessly. On top of that, you can even choose a target temperature and your mobile device will give you an alarm once that temperature has been reached. This is one high tech thermometer! With an app that works well, a long lasting battery, and a small physical size, the device is right around where it should be. The addition of a temperature display on the unit itself would be appreciated, but otherwise, we find this to be a good product, and worthy of a general recommendation. It really removes the guesswork and some of the effort from the grilling process, which I love. While I miss the display and audible alerts on the Kitchen Thermometer, the iGrill Mini does just about everything else for half the price. The device itself is only 1.5" square and approximately 1″ tall. 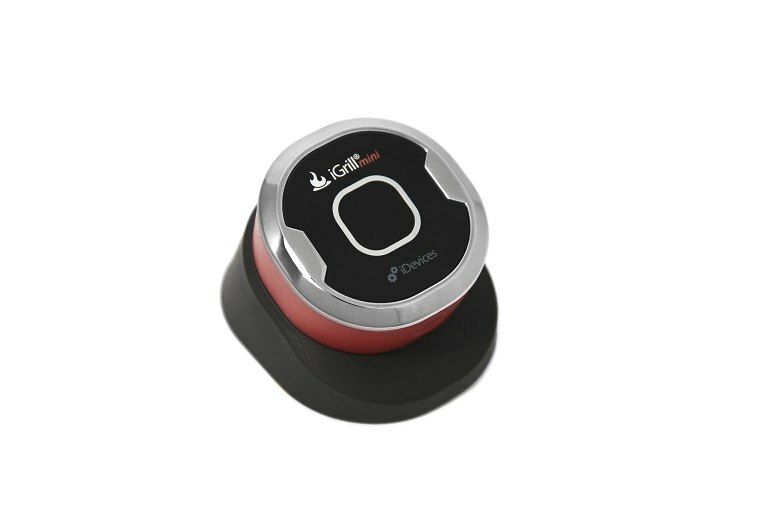 One problem I did have with the iGrill mini was that the app indicated that the transmitter battery was low within five minutes of connecting everything. Looking at other online assessments of the product suggests this is a common occurrence. The battery is quite common and can be easily replaced.